Easy kanons, four for 4 celli and one for 3; nothing above fourth position. 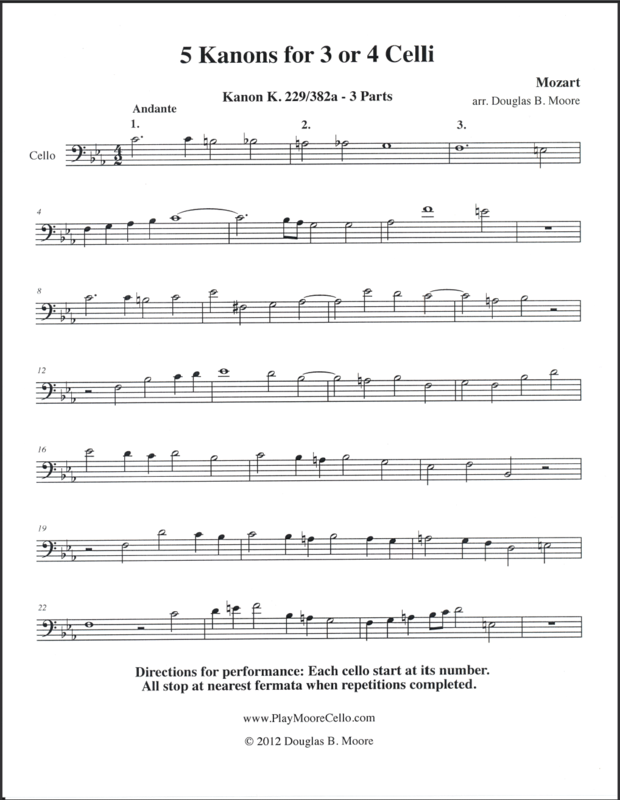 All in bass clef, ideal for sightreading. Single part with indications for each player where to start and stop; no score. Print out as many parts as needed. From K. 382, 553-5, 561.